Welcome to the online home of G&G Air Conditioning, experts in HVAC (heating, ventilation, air conditioning) services for many years. 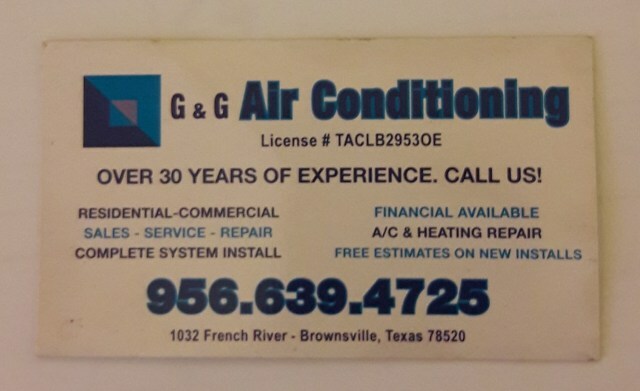 At G&G Air Conditioning we pride ourselves on our excellent reputation. Customer satisfaction is our primary goal. 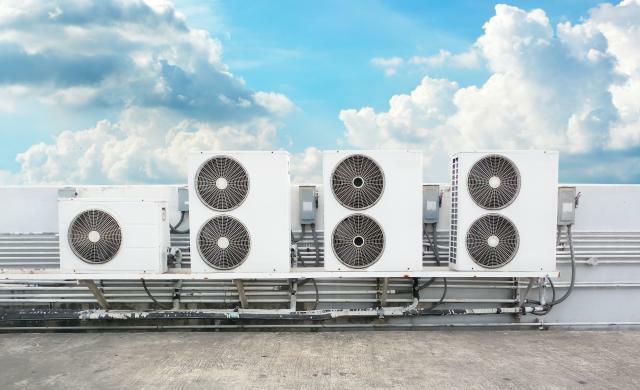 Ours is a full service company, offering a full complement of services, including new HVAC installations, central air systems, ductless systems, full service repair, and even affordable maintenance plans. We live and work here in Brownsville just like you. 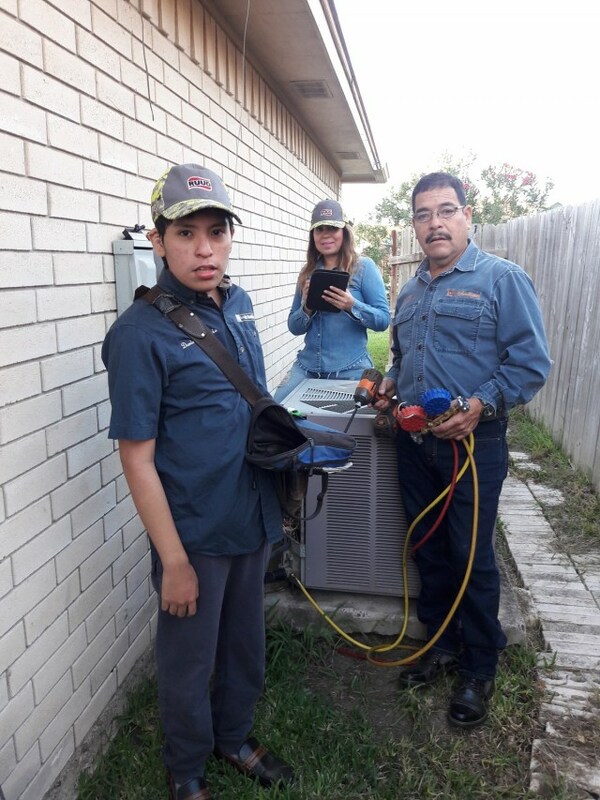 We understand how important it is to have reliable, easy to use heating and air conditioning systems in place, both in our homes and in our businesses. No matter your needs, no matter how big or small the job is, let our trained, certified professionals ensure that your home or business is comfortable year round. For the best HVAC services in the local region, call G&G Air Conditioning! I never call anyone else because they lack efficiency. G&G Air Conditioning always leaves my clients satisfied.